Having the right mindset, a clear focus on health and the right tools can keep you active and healthy right into the New Year. Here are a few of my favourite picks for an active winter that can also make great holiday gifts for the active-minded. For many, the winter season is a time for bundling up, holiday parties and slowing down on exercise -- but it doesn't have to be. I like to tell my clients that New Years Resolutions begin in November. When so many people begin to give up on fitness goals until the New Year, a simple shift in perspective can have you ahead of the game when January hits. Having the right mindset, a clear focus on health and the right tools can keep you active and healthy right into the New Year. Here are a few of my favourite picks for an active winter that can also make great holiday gifts for the active-minded. These amazing little gadgets provide ice traction for those diehard winter runs and keep you safe from falls, allowing you to get in your run without worry. 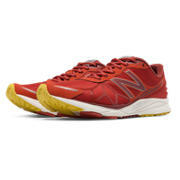 Definitely my 'go-to' for winter running as they are lightweight, portable and easily slip over your existing runners. How you dress makes all the difference when it comes to staying warm and comfortable in the winter weather. The NB Heat Hybrid Jacket has weather resistance and warmth without the weight. 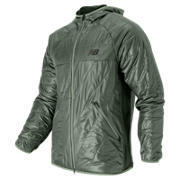 Light Polartec® insulation keeps the warmth in while NB Heat insets help wick moisture away keeping you dry. In the winter I always swap out my summer runners for a more weather-resistant alternative. The Vazee Pace Protect Pack provides a more weather resistant closed mesh and just enough cushioning to enhance comfort on uneven ground and winter road conditions. Just because it's winter, it doesn't me we should hibernate! We live in Canada and should be accustomed to having four seasons and should make the most of them. One of my favourite forms of winter exercise is snowshoeing. You can burn over 800 calories an hour, get an amazing leg workout and not to mention take advantage of the crisp, fresh air. 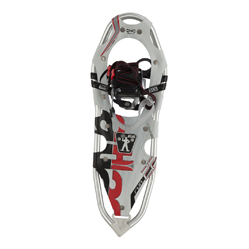 The Atlas Snow Run snowshoes are perfect for running enthusiasts who love to hit the trails in the winter. 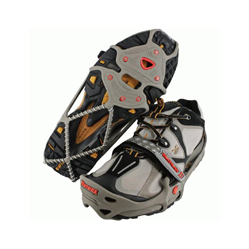 Walk, hike or run -- the special run bindings allow your foot to stay secure and allow for the natural articulation of the foot giving a comfortable running stride. An activity tracker can be an effective tool to keep motivated and stay accountable to being active any time of year. 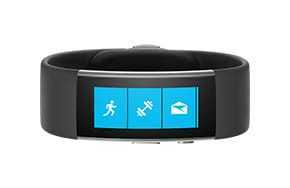 I've recently come across the new Microsoft Band 2 and its associated Microsoft Health App. This smart band proves to be a unique lifestyle tool that helps keep you on track and productive. I like the convenience of receiving text, e-mail and calendar alerts while I'm on the go. The Band 2 has 11 different sensors allowing you to track everything from heart rate, running pace, distance, steps, elevation, sleep quality and even UV exposure. I find the built-in GPS feature great for those runs or bike workouts where you just don't want to take your phone with you. Your stats seamlessly sync with your phone upon your return (IPhone, Windows or Android). On those cold days where you don't feel like getting outside, there are also some effective guided workouts you can choose from based on your goals and fitness level. 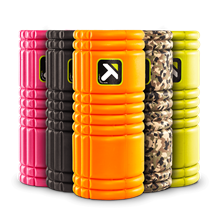 Whether you're a winter runner, skier or exercise enthusiast, myofascial release is an effective way to loosen up tight tissues, increase circulation and improve joint mobility. Using a roller like The Grid for regular self-massage can also assist in injury prevention. I like The Grid due to its smaller size and portability. It's easy to throw into your gym bag so it's ready to use before or after any workout.